What can you do when your competition is killing you, and it is impossible to make your product better? Try this: create a perfect customer experience. The best, innovative companies – from Amazon to Zappos – do this same thing. I don’t like the hassle of shopping for groceries. First I have to write a shopping list, then I must drive to the supermarket, look for a shopping cart, find a coin, go searching for the groceries I need, queue at the counter, pack the products, carry them to my car, and then drive home again. I rather spend my time doing something more creative. That is possible in our modern economy! Almost anything can be delivered to your door. Vegetable boxes are a great example. In the comfort of my home, I customize my order, after which fresh and healthy vegetables will be delivered at a convenient time. This service can be performed on a subscription model, or I can simply add the box to my online shopping list. The vegetables that are delivered are really good, but the convenience is what really makes me happy. Today, the increasing importance of service and experience is everywhere. Understand how to be responsive to this trend, and you will grow your business very rapidly. Below, I list 5 best practices to enhance your customer experience illustrated by inspiring case studies. The Internet has made consumers into instant-gratification junkies. As a result, businesses create products and services that cater to the desire for immediate satisfaction. 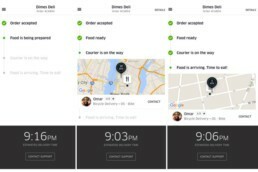 Take food delivery: consumers demand a quicker ordering process and faster delivery. Food delivery apps have spoiled our customers. Of course, these are judged according to speed. Uber Eats, the Uber platform for food delivery, is the fastest. 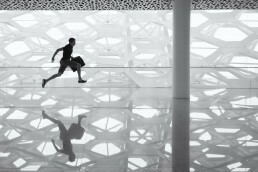 So, if you want to get ahead of your competition, be faster. It is not important to be the best or the cheapest if the customer wants the product today. “We asked ourselves what we wanted this company to stand for. We didn’t want to just sell shoes. I wasn’t even into shoes — but I was passionate about customer service,” Zappos’ CEO Tony Hsieh once said. • At Zappos, customer service isn’t just a department; the entire company is customer-centric. • When people call the Zappos call center, the reps don’t have scripts, and they don’t try to up-sell. They are just judged on whether they go above and beyond for the customer and really deliver a kind of personal service and establish an emotional connection to the customers. • At Zappos, healthy company culture is paramount because happy employees deliver great service. • Zappos takes most of the money that they could have spent on paid advertising and instead put it back into the customer experience. Then, they let the customers do their marketing through word-of-mouth. The Zappos experience makes customers very happy, and that’s why they return to buy more shoes or clothes and tell their friends and colleagues. In 1999, Amazon patented the one-click purchasing button. This amazing innovation increased conversion because it shortened the decision-making process considerably. The button made customers happy too: no more hassling with endless check-out procedures. The button was very successful because Amazon decreased friction in the ordering process. According to estimates, it earned Amazon billions of dollars. So, the lesson is to avoid friction in the customer journey as much as possible. One way to accomplish this is your own one-click purchasing button; the Amazon patent just expired. Now, you can use this valuable option without being sued by the corporate giant. This will decrease the huge number of online purchases that are not completed. Though a one-click purchasing button will not be the answer to all doubts of the buying public, it will certainly increase impulse buys. In brick-and-mortar luxury stores, clothes or jewelry are packed in extravagant, shiny boxes and bags with silver or gold lettering. If a woman is carrying a disposable paper bag stamped “Gucci,” the brand’s glamour is being transferred to her, and she will be deemed more attractive. High-end fashion stores don’t want to economize on the packaging, and customers love it! Nice disposable bags are just the beginning, though. 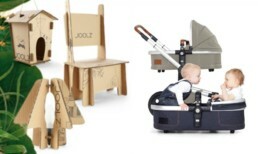 Dutch pushchair manufacturer Joolz innovates with its packaging. Every box – from the stroller itself, as well as every accessory – can be transformed into a practical and beautiful product for children to play with or for decoration in children’s rooms. This is both fun and very sustainable! I advise you to take a look at your own packaging. Are there ways to make this experience better in a way that reinforces the core values of your brand? Experiment and innovate! I saved this advice for last because it is the hardest to accomplish: give the customer the feeling he is part of your brand’s extended family. In the media industry, this is accomplished through the membership model that generates a new stream of income and very motivated brand ambassadors. For example, the respected British newspaper, The Guardian, asked readers for a financial contribution and called them “supporters.” The newspaper now has 200,000 paying members who bring in more money than ads do and share their passion for the publication. Take a page out of the Guardian’s playbook and give your customers the feeling they belong to your tribe. Reward loyal customers with exclusive gifts or offers, design a membership card, or invite them to a non-public, Internet forum – the possibilities are endless. Your customers are your friends. 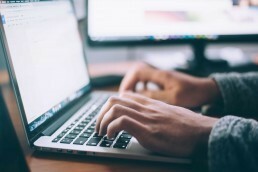 If your organization implements one or more of these tips, you certainly will make a positive impact as a result of your conversion. Do you need more information to innovate? Subscribe to our Growth Weekly or take a look at these fascinating business cases.